Everything appears to have gone well with the renovation of the Aurora Street Clinic, one of recent years’ biggest construction projects of Józsefváros, a district of Budapest. . 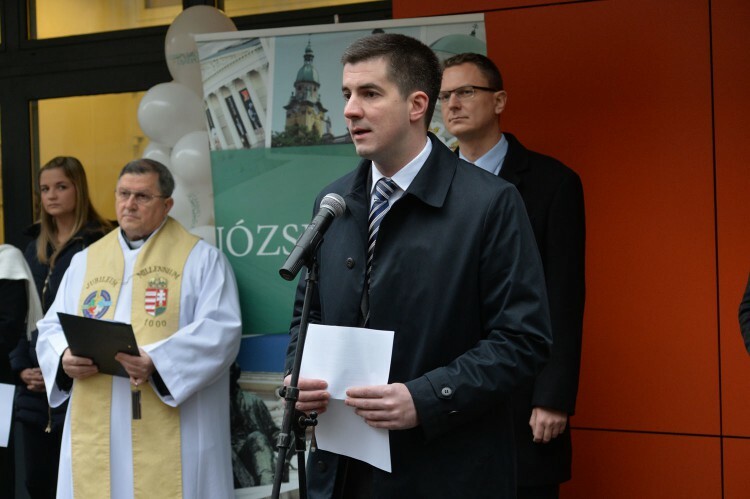 The work was finished in less than a year, remained largely free of political controversies, and the official inauguration last December was attended not only by district mayor Máté Kocsis, a prominent politician of the governing Fidesz party, but also by Bence Rétvári, a state minister from the government. Deep down, however, there has been a serious problem. The consortium that carried out the construction has won the contract worth nearly a billion forints (3.2 million euros) by submitting false information during the bidding process. In order to win, the consortium had to prove that it had done similar work before. The group of companies claimed that one of its members had renovated a clinic in the distant country of Uruguay. A Direkt36 investigation with the help of a local journalist has revealed that this was not true. The renovation indeed took place but documents and interviews show that the company that provided the reference made false claims about it. For the work in Budapest, bidders were required to show that during their previous clinic renovation they carried out the replacement of at least one elevator. In the Uruguayan clinic, however, there has never been an elevator. This was not the only lie that the company said in the reference. Other pieces of information suggest that the firm had nothing to do with the construction at all. One of the story’s players is János Borzován, a Hungarian businessman with ties to Uruguay. 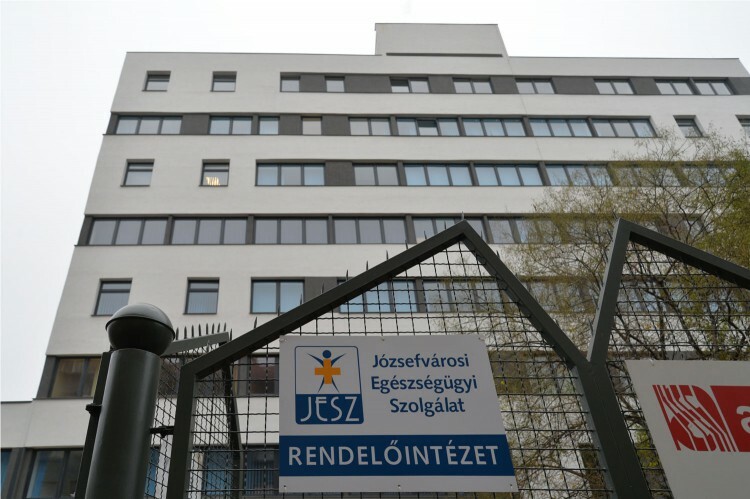 Local politicians have raised questions about his potential connections to Józsefváros’ municipality but did not provide clear evidence to prove that. In a story last year, Direkt36 exposed that Borzován had connections to EU-Line, the company that was the leading member of the consortium winning the clinic renovation in Józsefváros. Newly gathered information, based on secretly recorded phone calls played during a recent corruption trial, suggests more direct links between him and the municipality. We can do this work only if we have supporters. Become a supporting member now! Companies that submit false information in bidding procedures are sanctioned by law. If they are caught they can be banned from procurements for years. The Aurora Street Clinic was originally opened in March 1978, and it had taken almost four decades before its first major renovation began. The municipality, after securing a major EU grant, launched the procurement process for the construction in the summer of 2014. The call for proposals made it clear that only those bidders qualify who can show that they had done similar work in the past 5 years. The call specifically noted that this previous construction had to include the “complete replacement” of at least one elevator and of a heating system. Two consortia submitted bids, and the one led by EU-Line failed to file the required reference in the first round. Procurement documents obtained through a freedom of information request show that in October 2014 the municipality wrote a letter to EU-Line, noting the missing information and asking the consortium to submit the reference. A day later, EU-Line sent the additional documents. The consortium leader said that their group includes a Uruguayan company that worked on the renovation of a clinic in Pando, a town close to the capital Montevideo in 2011 and 2012. The documents claimed that during this construction the company replaced an elevator, changed the heating system and made the building accessible for disabled people. This reference cleared the way for the consortium led by EU-Line, which eventually won the tender with a 997 million HUF (3.2 million euros) bid. This was 200 million HUF (645 thousand euros) more than the project’s originally estimated costs but it was still lower than the other bidder’s offer. They offered to complete the work for more than 1.2 billion HUF (3.87 million euros). Now it’s clear though that EU-Line’s consortium won the contract by breaking the rules. Several elements of their offer were not true. The lack of elevator in the Pando clinic provides evidence for that. The Uruguayan journalist working with Direkt36 went to the clinic and found that the building had no elevator. Uruguay’s state health agency, ASSE, also confirmed this, saying in a written response that the clinic had never had an elevator. People associated with the clinic said that there is equipment in the clinic for lifting heavy items but it has been out of use for years, too. The agency’s response cast doubt over another element of the reference. ASSE said that the heating system was not replaced during the 2011-12 construction. This means that at least two crucial parts of the consortium’s reference were false. 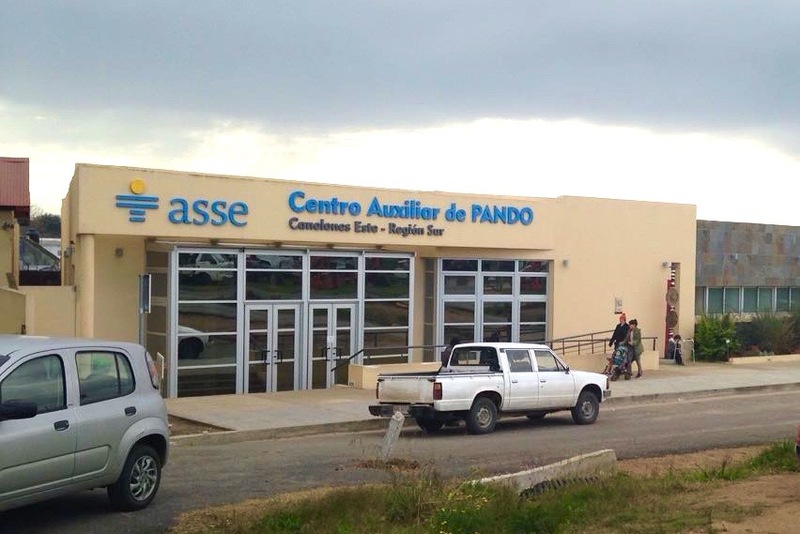 Other details suggest that the company that provided the Uruguayan reference had nothing to do with the Pando clinic’s renovation in the first place. The firm is called Medicor Latinoamericana and it has Hungarian connections. It used to be part of a big former state company, Medicor Works, which has been dealing with producing and selling medical devices. Medicor Latinoamericana had been operating as a local office during the socialist era, and, according to one of its former managers, Juan Martony, it became an independent company around the fall of socialism. Martony, who is now the honorary consul of Hungary in Uruguay, added that as far as he knows the company is still only involved in medical devices and does not perform construction works. 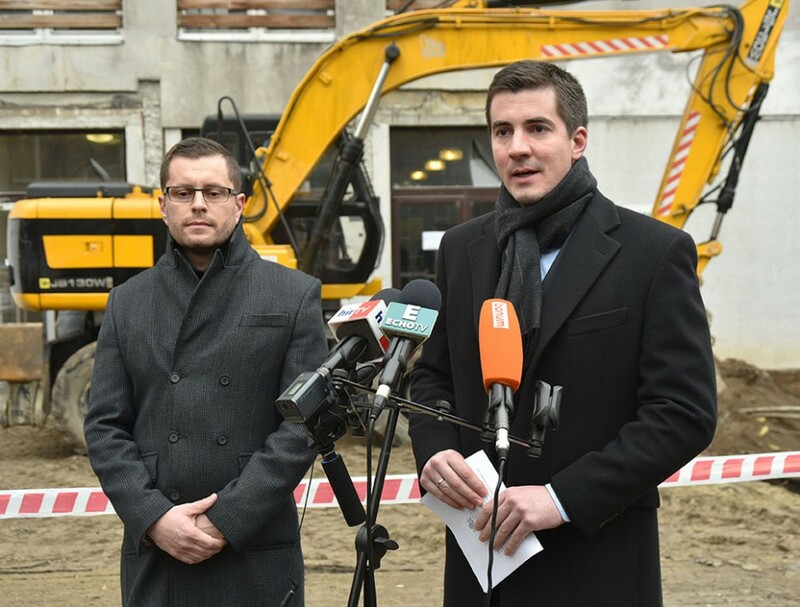 Hídvégi signed several of the reference documents used for the Józsefváros construction and in the phone conversation with Direkt36’s reporter he claimed that Medicor participated in the Pando renovation. He refused to answer the question, however, how he can prove that they indeed did that work. “Who are you? Why would I have to prove this?” he asked angrily. When he was told that despite what the reference said, there is no elevator in the Pando clinic, first he went silent for several seconds. Then he said: “Look, what’s important is that the construction is over and [the facility] functions.” When our reporter told him that people closely involved in the renovation have not heard about Medicor’s participation in the project, either, he said that ”all I can say what I said before.” Then he told us not to ask more questions and ended the conversation. He did not respond to an e-mail sent after the phone call. Hídvégi did not give clear answers to the questions raised about their participation but the manager of the main contractor in Pando, a company called Lafory, told Direkt36 that he has not heard of Medicor, either. Lafory has gone bankrupt since then but its former owner and director Guillermo Fraga, told Direkt36 in an email that Medicor did not participate directly in the project. He added that he does not know which companies the subcontractors worked with. Medicor claimed that they were contracted to do the Pando renovation by a Uruguayan company called BAU R.S.I. Guillermo Fraga said that he did not hear about this company either, and as far as he knows they did not participate in the project. The part of the Pando clinic’s renovation that was allegedly done by Medicor and BAU R.S.I. took place while he was the president. Borzován told Direkt36 that his previous claim does not mean that the company could not have had any activity. He said that since he is not the president any more he does not think he has the right to speak on behalf of the company, especially about documents that were created after his departure from the firm. Borzován’s role could be politically sensitive for the leaders of the municipality. Local opposition politicians have raised questions about the businessman’s potential involvement with the municipality’s businesses but they did not present any hard evidence for that. It was, therefore, easy for the district’s leaders to dismiss the claims. In fact, Borzován had connections to the municipality. This is known from the corruption trial in which the prosecutors charged the businessman with asking money from other entrepreneurs with the promise that he can influence the decisions of the municipality of Budapest’s central district, a district adjacent to Józsefváros. The companies owned by Borzován, who was acquitted by the judge, received contracts worth more than 6 billion forints (19 million euros) from the central district in the past 15 years. During this period he developed close relationships with some senior officials of the municipality, including László Rónaszéki, the long-time former notary of the district. During the court hearings the judge played several phone conversations, secretly recorded by the authorities that contained information suggesting links between Borzován and Józsefváros, too. In a call recorded in March 2013, Borzován told Rónaszéki that he was going to have a meeting with Máté Kocsis but it was cancelled because Kocsis got sick. ”I’ve just got a call from the secretary of Máté Kocsis that Máté, with whom I was going to meet at 12, is under the weather,” Borzován said. Then he and Rónaszéki continued with jokes that members of Fidesz might have had a gathering because another member of the party also got sick recently. Borzován did not mention in the call why he was going to meet Kocsis. “Anybody can ask for an appointment with Máté Kocsis, just like with every other mayor. Then you can either have that appointment or not. I did not succeed in this case,” said Borzován. The municipality said that Kocsis knows Borzován but only to the same extent as “he knows other investors in the district.” They added that in 2013 Kocsis and Borzován were indeed going to have a meeting in concerning a local sports event but in the end the meeting did not take place. “There is no close acquaintance or work relationship between the mayor and the entrepreneur,” the municipality said in a written response. The municipality claimed that they are not able to tell exactly what sports event would have been the topic of the meeting. “Nobody can recall this at the secretariat,” they told Direkt36. Borzován said that sometime in the early 2010 he was involved in organizing a bicycle race that would have taken place partly in Józsefváros. He said that “maybe this was the reason” why he wanted to meet the mayor. “Unfortunately, neither the meeting, nor the sports event took place,” he added. The municipality referred to Borzován as an investor in the district but did not explain what they know about his investment activities. “The municipality does not list the private investments in the district,” they said. Borzován told Direkt36 that he and his companies have never had any business activities in the district. Another phone call played in court revealed new details about a controversial real estate deal of the Józsefváros municipality. In 2006, years before Kocsis became mayor, the municipality decided to sell one of its properties, a 19th century building known as Hunyady Palace. They signed a contract with a company called Georosco, which agreed to carry out certain real estate developments in the district in return for getting Hunyady Palace, located in Trefort Street, a short and quiet street at the heart of Budapest. Georosco occupied the building but the real estate developments did not go according to the plans, so, for years, the company could use the property only as a tenant. In the meantime, several local politicians criticized the deal, arguing that it was disadvantageous for the municipality. Another major concern was that Georosco had a murky ownership structure. Over the years, firms from Liechtenstein, Cyprus, and Uruguay owned the company, jurisdictions where public company records do not contain ownership information. Press reports showed indirect links between these foreign companies and Borzován but no hard evidence emerged showing his role in the real estate deal. In one phone call played in court, however, Borzován suggested that he was personally involved the matter. In explaining why this report was false, Borzován hinted at his involvement in the real estate deal. “I don’t consider myself Jewish, maybe there is something in me but I don’t think I am [a Jew],” he said. He added that it was also not true that the investor had disappeared. ”We have not disappeared, we are here, alive and kicking” Borzován said. Borzován claims that his only connection the the Hunyady palace is that the company that moved into the property asked his firm to do renovation work on the building. The municipality said that they are not aware of Borzován’s involvement in the property deals. They said that during the process the municipality was in touch with Tamás Dulin, the manager of Georosco, who reassured them that the company’s ownership structure is transparent. “Beyond this, we have no knowledge on who was involved and what role he or she played in this” the municipality said. Georosco finally purchased Hunyady Palace at the beginning of 2016, land records show. Currently, the company is owned by two companies that both were involved in the Aurora Street Clinic’s renovation. The majority owner is BAU R.S.I., the Uruguayan company which had a role in providing the false reference. The other owner is EU-Line, the consortium leader, which has become a close partner of the municipality since the clinic construction. After getting the Aurora Street contract, EU-Line has won three other bids from Józsefváros, worth 220 million forints (710 thousand euros) in total. ”It is not the municipalities’ responsibility to check the tender bidders’ ownership structure or the truthfulness of their references” the municipality said. For data on the Hungarian companies we used the services of Opten and Céginfo.